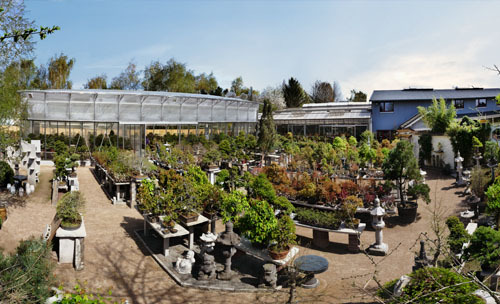 The forecourt of the Bonsai Center in Ascheberg, Germany. 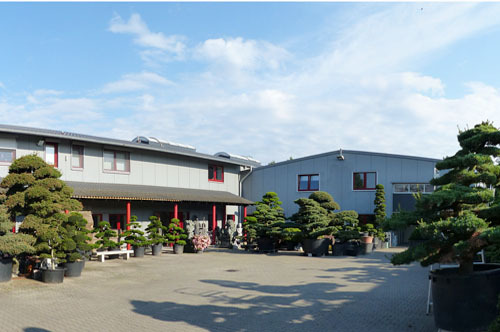 Some garden bonsai are in view, and sufficient parking space is provided. 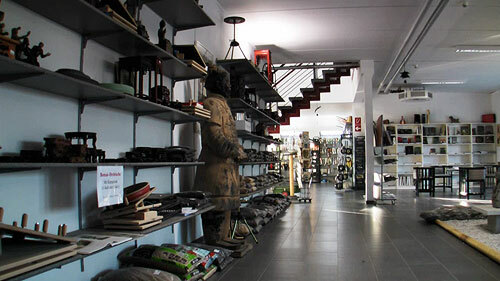 Our shop provides anything the the bonsai enthusiast's heart desires. 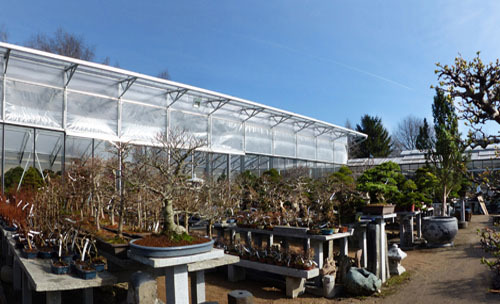 Upstairs you will find a huge selection of ceramics..
Our extensive open-air exhibition lies protected between two greenhouses and the Asian garden. 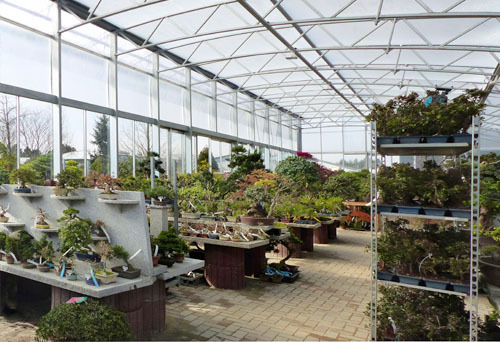 Here you will find a large selection of outdoor bonsai, stone lanterns, water basins, seating, etc. The open-air exhibition area from another viewing direction. In the background the office building can be seen, and on the right, concealed. the Asian garden. 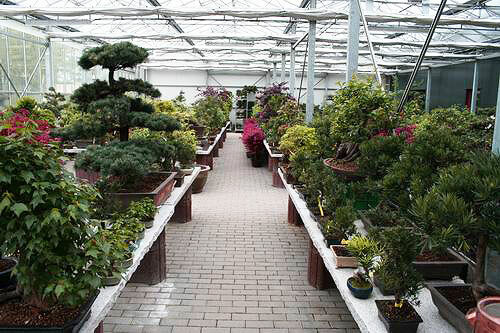 Inside the greenhouse you will find a wide range of indoor plants. 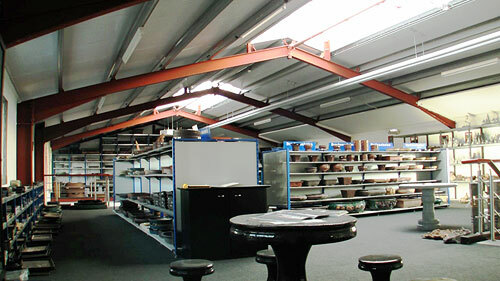 Use your mouse to move your position in our 360 degree panoramic views(Flash required)!